admin July 4, 2018 July 4, 2018 No Comments on To Get Rid of Sound Driver Problems! At some point of your life, you might encounter a computer than might suddenly “lose its voice”, as it inexplicably loses its ability to produce audio. You might think that the problem can be attributed to faulty speakers, but consider all facts before you come to any conclusions. Sometimes the problem lies beyond hardware, and may be something that you might never have thought of to begin with. Most casual computer users are not even aware of the inner mechanizations of their own machines, and thus they haven’t the slightest clue when they encounter such a problem. This article will tell you everything you need to know in order to troubleshoot sound-related issues, and how you can find the remedy for such issues as easily as 1-2-3. Now, before we discuss the possible solutions to these problems, you must first understand what goes on in your own computer. Your computer is a complex and intricate piece of machinery, comprising of dozens of components that work hand in hand in order to execute the various tasks that have been set out to them. In order for them to execute these tasks efficiently, they must be able to communicate with one another in a common set of language or instructions that is universally understood by every aspect of the hardware involved. This essential set of language or instructions is called the driver. The driver is akin to your computer’s translator, often taking the role of translating raw data from various hardwares, such as your graphics card or your sound card, into the respective output associated with the data that had been transmitted. In the case of sound drivers, it translates the data from your sound cards, into the output you hear from your speakers. Because the driver acts as the “translator”, anything that happens to your sound drivers will affect the quality of the output you will eventually receive. For example, a driver that has become corrupt over time, will tend to “translate” the signals it receives from your sound card into compromised sound quality. You might hear scratches, hisses, or even pops on occasion, because the driver is unable to fully translate the signal as efficiently as it should, because it is corrupted. Having the wrong drivers for your sound card may also result in loss of audio quality, and you may even miss out on additional features that the specific sound card driver may have. You can troubleshoot this particular problem easily. In fact, you can do it in 3 simple steps. The first thing you need to do is to determine that the problem is indeed caused by faulty drivers. You can do this by going into your Device Manager, under the Control Panel of your Start Menu. Check for any yellow exclamation or question mark icons next to your sound card in the list of devices. If there is such an icon next to your sound card, then you definitely have a problem with your drivers. 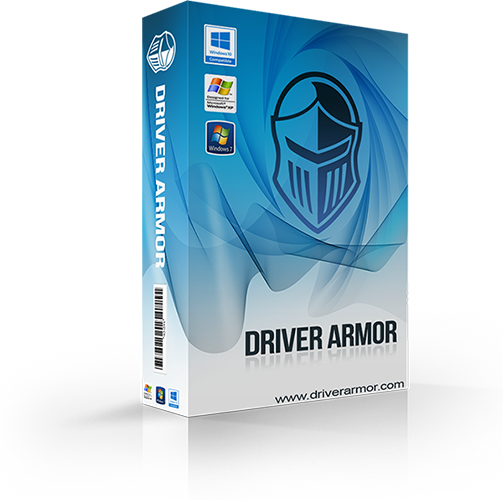 The second step you need to take is to get online and download a program known as driver Armor software. The program will scan your computer for any outdated or corrupt drivers, and it will recommend the exact kinds of updates that you need to download. The third and last step, is to simply set your driver scan software to run on automatic updates, and you will never have to worry about outdated or corrupt drivers ever again.